A day after Tottenham’s challenging victory against Watford at Wembley, Son Heung Min explained why all of Spurs’ rivals should be afraid of them. 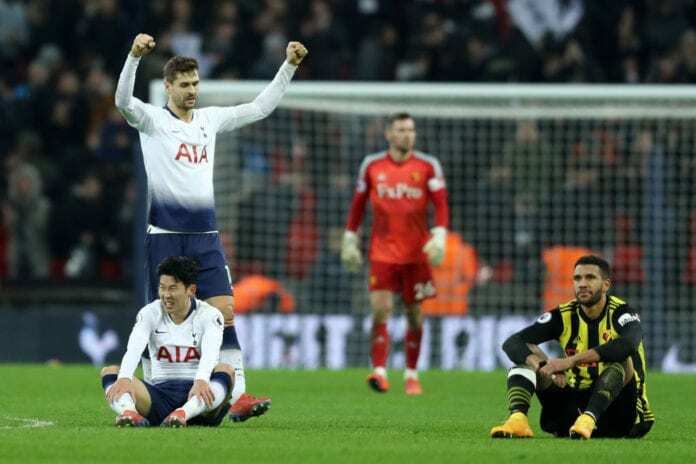 The image of a shattered Son Heung Min after Tottenham Hotspur’s difficult win against Watford last Wednesday, is the clear representation of a squad that will never give up as long as there is still hope to fight for the title. 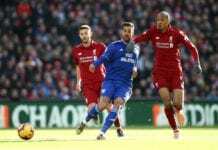 Even if things are incredibly complicated for them right now as they remain 7 points behind leaders Liverpool, the South Korean forward wanted to send all his teammates a motivating message that could bring them up a bit during this difficult time for them. Let us not forget that the Spurs are currently going through a period without two of their major stars who are recovering from injuries, and they didn’t sign a single player during the winter transfer window. Actually, Tottenham Hotspur became the first ever Premier League club that didn’t buy players in two consecutive transfer windows and the fans are very disappointed with chairman Daniel Levy for this. But the players know that they can’t show any signs of weakness, Son Heung Min is the first one to send this hopeful message for the rest of the season and he reminded those angry fans that the players won’t give up despite the difficult times. This new chapter for Tottenham Hotspur with no new players in their roster for a full season and a half, is arguably one of the biggest tests the club will have to go through and people are already thinking that they are as good as dead in the race to win the Premier League this season. But Son refuses to believe that, he actually thinks that this mental state of emergency that all the players are going through is something that makes them very dangerous for any other title contender in the league. Son is the other major star who was absent from the club due to his Asian Cup duties, but South Korea was eliminated from the tournament quite early and all Spurs fans took a massive breath of fresh air because they have their player back. Son was even good enough to help the Spurs cut a few points off the two clubs at the top of the table thanks to his contribution, he scored the first of two goals in the victory against Watford last Wednesday and he ended up completely exhausted after the match. The image of him on the ground with nothing left to give, is something that the fans will never forget. Son is literally giving his life for Tottenham Hotspur and he is becoming an idol to everybody who appreciates these details. ✍❌ – A new record for @SpursOfficial! “I don’t care if people ignore Tottenham. I don’t care if people say Liverpool or Manchester City are going to win the title,” said Son via The Mirror. Tottenham Hotspur’s Heung-Min Son, so emotionally, mentally and physically drained. 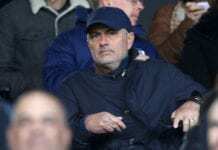 How long can Tottenham Hotspur last fighting for the trophies this season with no transfers? Please share your opinion in the comment section down below.